The Matsui family has given Natividad Foundation a $500,000 donation to bring an Infusion Center to Natividad. The gift is the largest single donation received from an individual or family donor in the foundation’s 30-​year history. 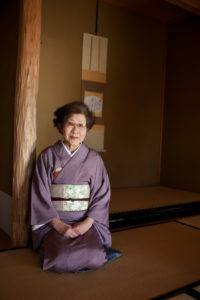 Yasuko Matsui is a Japanese Tea Ceremony instructor and breast cancer survivor. The donation is made in honor of Matsui’s mother, Yasuko Matsui. Teresa Matsui, her sister and mother all are breast cancer survivors and positive for the BRCA2 gene mutation. The gene produces tumor-​suppressing proteins, which increases the risk of breast and ovarian cancers. The genes can be inherited from a mother or father, and a child of a parent that carries a mutation for the gene has a one in two chance of being affected. Breast cancer is the most common cancer in the U.S. and one in eight women will develop breast cancer in her lifetime. 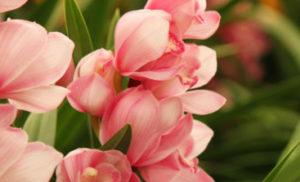 Founded more than 50 years ago, Matsui Nursery is one of the world’s largest potted orchid growers and its live orchids are available throughout North America. Based in Salinas, Calif., the company employs 200 people in Monterey County with high-​quality jobs. Founded in 1988, Natividad Foundation is a nonprofit that provides philanthropic support for Natividad through its partnerships with foundations, individuals, businesses and government agencies. Owned and operated by the County of Monterey, Natividad is a 172-​bed hospital that provides health care services to resident and visitors throughout Monterey County, including the vulnerable. 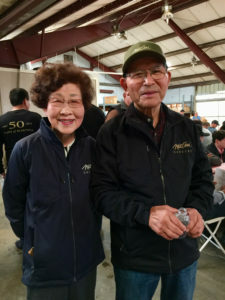 Part of the Matsui family’s donation funds immediate updates to Natividad’s pharmacy to create a compounding room for infusion therapies, including chemotherapeutic agents and non-​oncologic treatments. These medications are delivered as intravenous infusions and are used to treat cancer and chronic diseases like rheumatoid arthritis, Crohn’s disease, multiple sclerosis and anemia. The donation also funds a four-​room infusion center at the medical center that will allow infusion therapy to be delivered in a physician-​supervised outpatient setting. Once the initial projects are complete, the remainder of the donation will support Natividad’s continued expansion of infusion and chemotherapy services, Gray said. Natividad Foundation was founded in 1988 as a 501(c)(3) to philanthropically support programs that improve the health of the community. Its partners fund critical programs, medical equipment, services and modernization projects to enhance Natividad’s health care services.